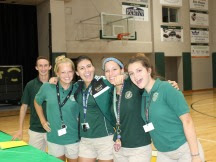 On August 23, parents came to campus to preview the daily lives of our students. Throughout the night, parents followed their children&apos;s class schedule. 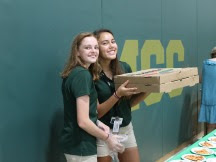 The Green and Gold Ambassadors served samples from our lunch vendors, guided parents to classrooms, and provided information about the school. Each teacher explained to the parents what their child would learn along with what type of work and amount would typically be assigned. 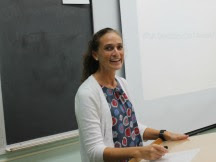 Over the course of the night, parents learned all about typical day the students experience. This was a memorable night for all!